The Symphony Condominiums is located right next to the new hospital in Brampton, the Peel Memorial Centre for Integrated Health and Wellness. 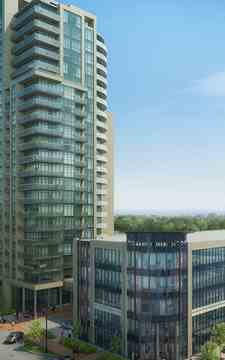 It's also steps away from the Brampton GO Station and Brampton's major bus terminal, Brampton Gateway Terminal. The building itself offers different suites including 1 bedroom, 1 bedroom + den, 2 bedroom, and 2 bedroom + den. 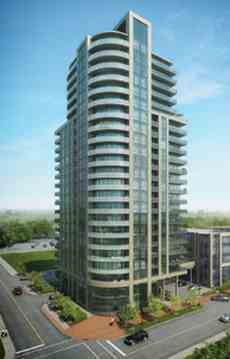 This high-rise condo contains countless amazing building amenities such as a social room and lounge, an outdoor terrace with a BBQ area that overlooks downtown Brampton, as well as a spacious workout facility for fitness enthusiasts. Every unique suite has its own balcony with spectacular views of the city while boasting cutting-edge architecture and sleek designs. The City of Brampton is filled with heart and soul. Bursting with an abundance of diverse vibes and styles, from the fine arts to public parks, convenient transit to great shopping, and everything in between, Brampton has it all. There are endless artistic and cultural events throughout the summer in downtown Brampton! Most of these events are located at Garden Square just steps away from Symphony Condos. Live in perfect harmony at Symphony Condos! This unique condo is located in the heart of downtown Brampton at 145 Queen St East and surrounded by countless area amenities including Brampton GO stations and terminals, the Rose Theatre, Gage Park and countless shopping and dining options.